Playgrounds sure have changed! The materials they’re made of, safety standards, accessibility and creativity are a few elements that have changed drastically in their design and construction, and that provide adults with a real sense of nostalgia. Step back in time…. a time when there was no such thing as spongy flooring, shade covering or slides that were too high or too steep with these old-fashioned playgrounds. Playgrounds these days usually shy away from the timber construction that grew popular in the 80s- don’t you remember the splinters after a day of climbing and naughtily taking off your shoes? Wooden playgrounds back in the day were a real challenge to climb, perfect for little adventurers. Get your hit of nostalgia by heading to the Rouse Hill playground that still remains pretty true to the old style. 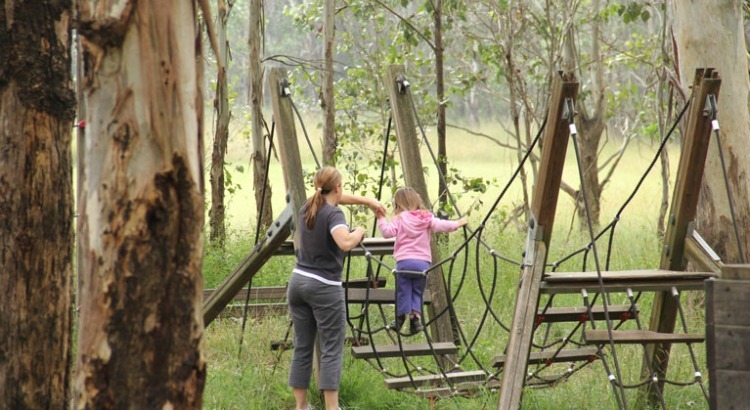 If you’re ever around the Blue Mountains, head to this heritage style playground. There’s some steel equipment remaining, including car-style climbing equipment, and a metal slide that every adult today can remember being burnt by on a Summer’s play day at the park. Sometime in the 90s, plastics became the number 1 material for playground construction rather than hard and sharp metals that could slice little fingers and cause damage if a head was bumped into it. Metal slides were infamously tall and steep, with little protection for kids to fall off at the top, as you can see in the one at Blackheath. A feature of many old school playgrounds- and one of the best surviving due to its concrete construction. Who remembers climbing up and over, struggling with their balance, or racing a bike up to the top only to fly back down? Uneven logs were such a common feature, too. Although it’s been closed off so that kids can’t climb it, the ‘moon rocket’ of so many playgrounds back in the day still remains at Johnson Park. 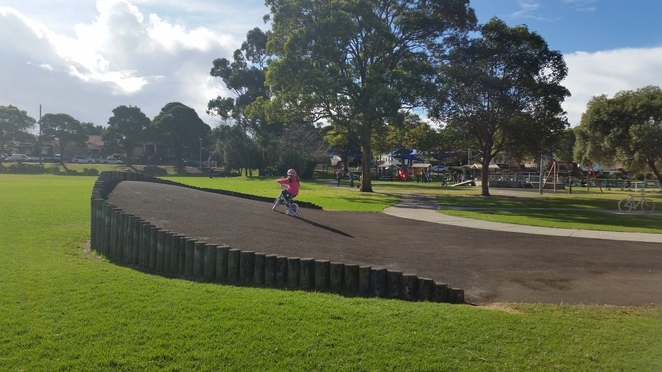 Muston Park in Chatswood had its rocket ship from the 90s taken down due to safety reasons, but was restored last year, bringing back memories to many mums and dads. 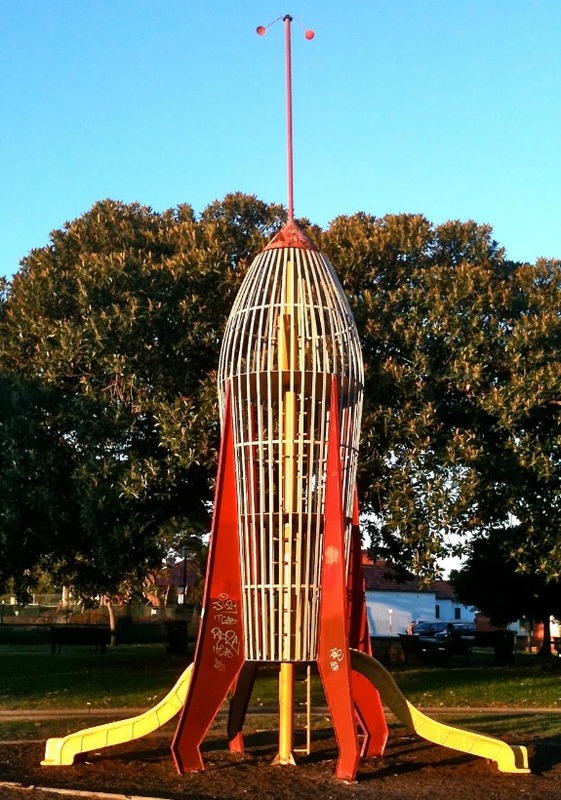 Enmore Park in Marrickville boasts 2 refurbished rockets that meet the current safety standards. 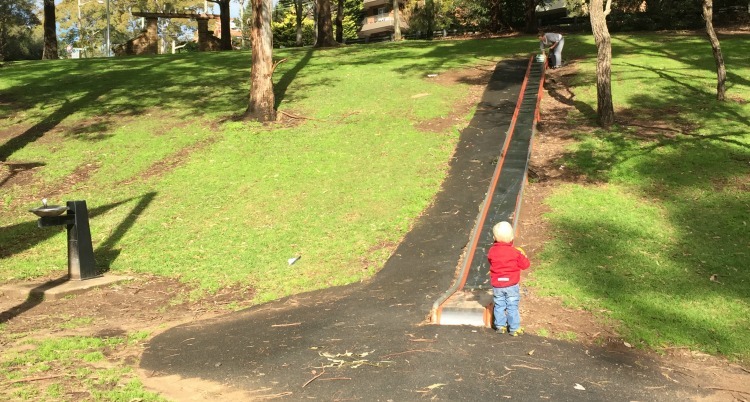 Check out this 15m or so metal slide, closely built to the ground. Kids today still bring cardboard and race down the slide. There has been a slight lip added to prevent kids from falling off- something that designers probably wouldn’t have fussed over a decade ago! What’s Coming Our Children’s Way? Playground designer Tracie Harvison told the ABC that smart technology is the next progression of playgrounds. Playgrounds will also place greater emphasis on social interaction and imaginative play, as well as solid shading for seriously wet weather and even cyclonic conditions.